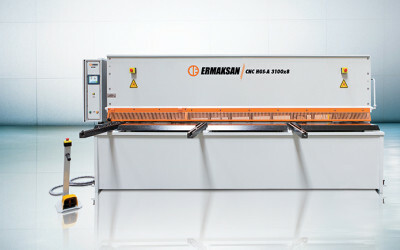 ERMAKSAN, known as one the top world wide manufacturer in sheet metal industry, proudly announces its lates shear model to the market, which we call it hydraulic Swing Beam Shear “HGS” and is the perfect machine for sheet metal cutting guillotine s.
HGS is a perfect choice with its modern design, durable heavy body and precise cutting quality. 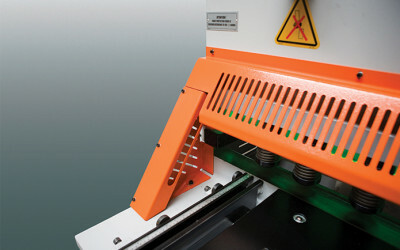 Long lasting and durable upper beam plays a major role in cutting. 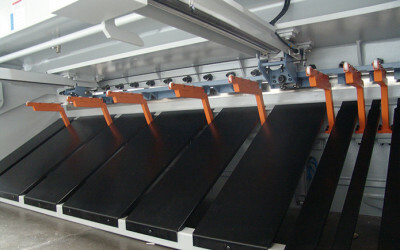 Fast and precise blade gap adjustment system is placed on the right side of the machine. 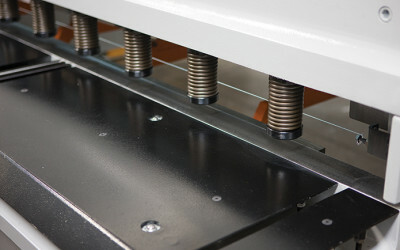 Blade gap adjustment for high quality cuttings could easily be made from single point. 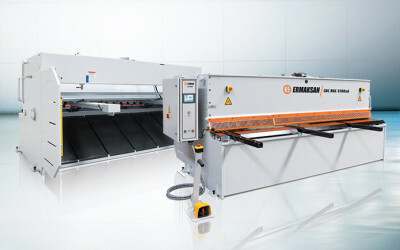 You will realize how great of a choice it was to go with ERMAK HGS Shear once you start using it. 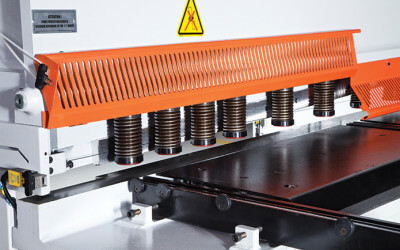 Easy gap adjustment system helps you to get perfect cuts from the first cut. Cybtouch 6 user friendly controller. Side gauge and front support arm lenght for any request. Light curtain for finger protection. 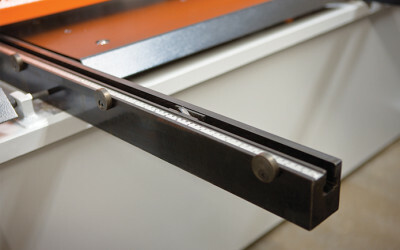 Durable choice for your precise cutting works. Monochrome 130 x 75mm LCD Box Panel. 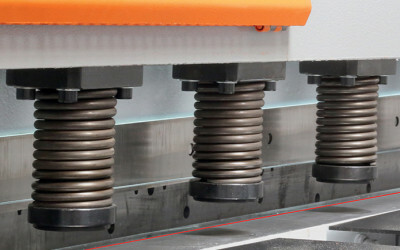 Blade gap, cutting angle and cutting length adjusted based on material selection and thickness automatically. Data recording with internal SRAM memory. Updateable with flash memory (optionally with RS 232). 16 input and output ports (24-32 options). Backgauge adjustment according to blade gap. 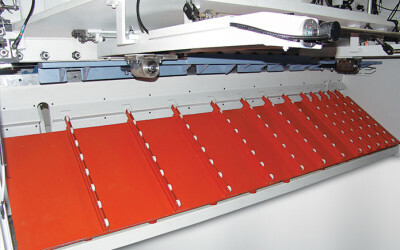 1000 mm motorized backgauge system with 0,1 mm accuracy. 1000 mm side gauge and front support arms. Roller bearings on the front support arms to easy placing sheets. 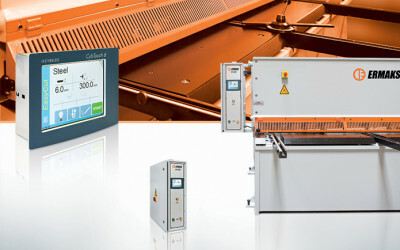 Front, side and back safety panels which are suitable for CE norms. Rear light curtains for safety. 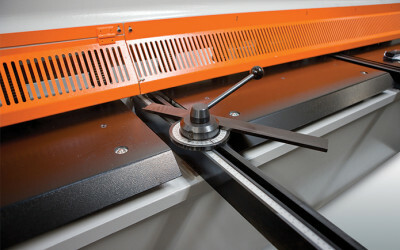 Manual blade gap adjustment by side-arm.